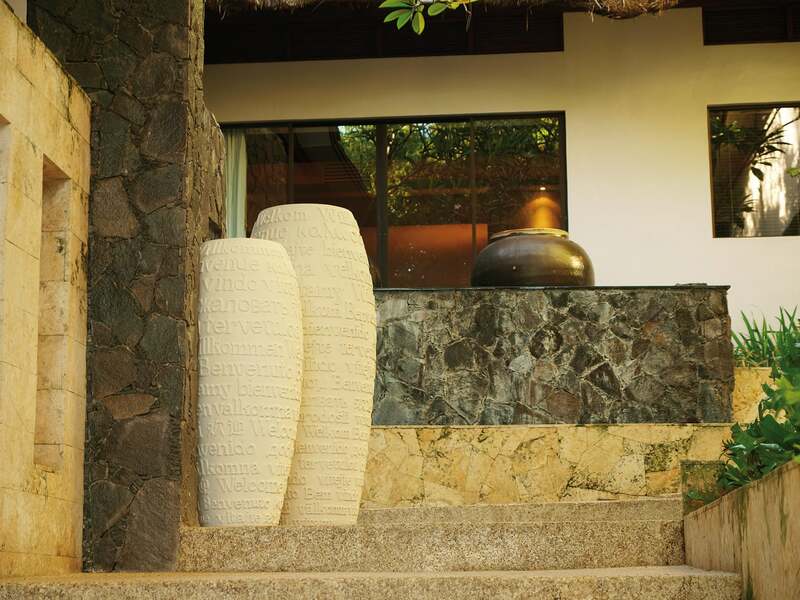 A polystone planter with weather resistant material. 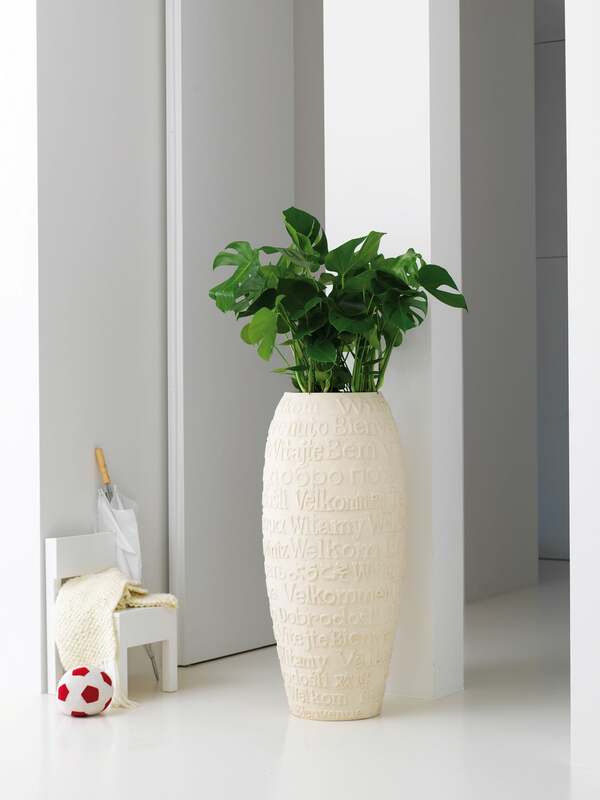 Welcome by Fleur Ami is a beautiful planter made of PolyStone. 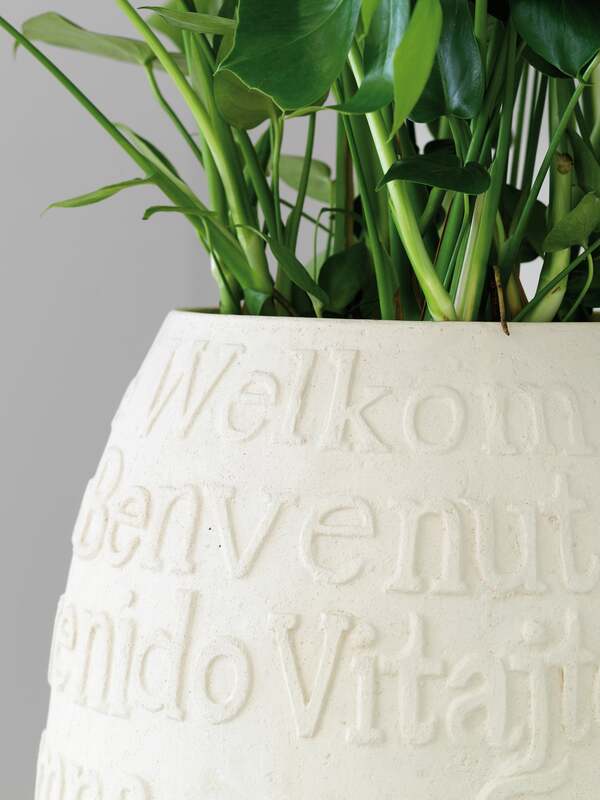 The word "Welcome" is milled in 21 languages in raised letters on the body of the planter. 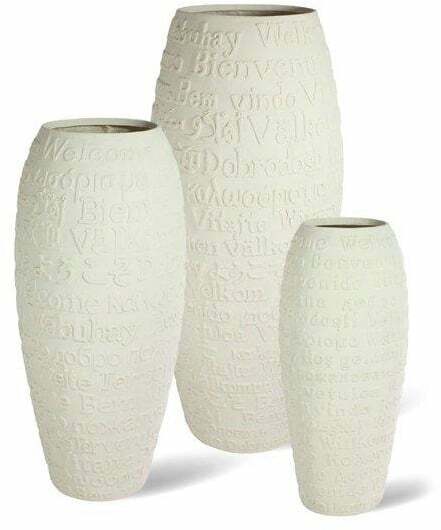 This planter is perfect for use indoors or outdoors because it is weather resistant. A drain must be drilled in the base of the planter for outdoor use though. Versa Toilet Brush and Holder "Lines"